I've been to Hot Springs, Arkansas several times over the years. Its within easy driving distance from Oklahoma City through a really pretty area of the country once you get off the interstate. And I love the greenness of Arkansas, the clear creeks and waterfalls, so different from the muddy red of home. I can remember thinking it was a fancy area when I was little, being there with my family when I was a kid the place felt big and bright. Now, it's a little run down and lot smaller, more touristy in parts. 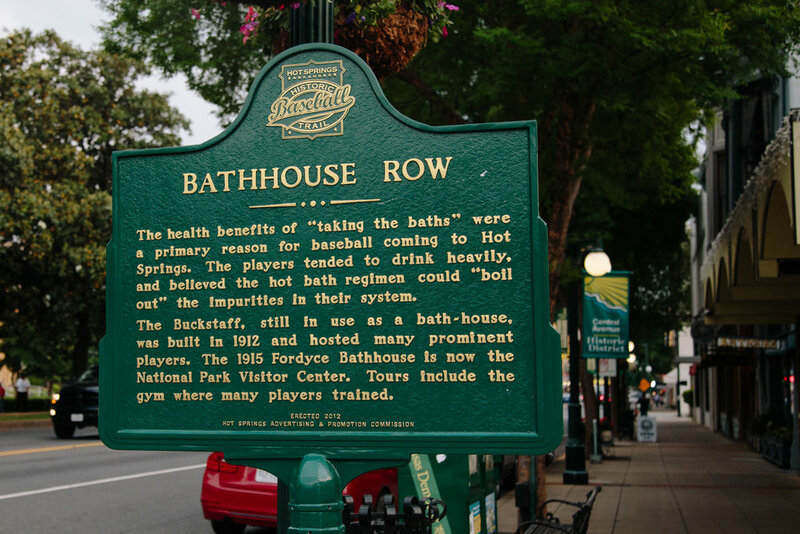 Beyond the famous Bath House Row, Hot Springs is like any other town, with good and bad parts. 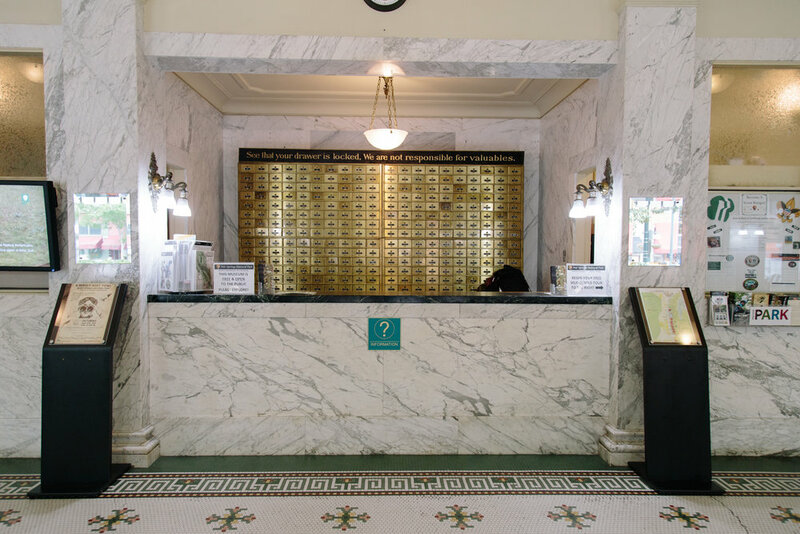 But it had been several years since my last visit and I'd never toured Fordyce Bathhouse before (which is also the Visitor Center for the park - a gift shop is located in another bathhouse down the row). It's a beautiful building and it was fun to see everything that went into "taking the waters". There's a park behind the houses on the hill where the springs originate but most are covered. However one that isn't is at the north end of the row and you can get a feel for how warm the water is. There are also several spots on that block where you can fill water bottles, which is a must. Several of the bath houses are open and offer traditional and less traditional bath options. (one is also a restaurant/brewery) You can experience the waters first hand and reap the benefits that brought people to the area for the last hundred years. If anyone has been and tried them you'll have to share your thoughts. We didn't get a chance to try them but it's on my list for the next time we're in that part of Arkansas.